In most cases I never get around to attempt documenting the adventure they contain. My brother had quite a stroke of luck and was "forced" to take four weeks off work, otherwise he would have lost some of his leave. They were already planning a trip to Europe so we decided to extend the trip a bit; join up in London and have a week of sight seeing, museums and as many pubs + breweries as we could fit in. It was destined to be a fun trip... We haven't been on holiday together for almost 10 years. Off the plane it was me vs. the London Transport system. Parts of the Piccadilly line serving Heathrow was down for track replacement and I has to navigate the bus system to get to Shepherds Bush... Not a difficult process, but quite time consuming and cutting into our "beer research" time. I dropped off my bags and we were on our way to brewery number one via the Maltby Street Market. As always Maltby Street is a very cool place to hang out... Loads of stalls with food, pastries, coffee, beer, gin, cocktails, antiques, fresh produce, and much more. Sadly Maltby Street has become a bit too hipster. Quite a few of the places that started it have moved to other railway arches. To some extent the flair of small producers having a market day on Saturdays is gone. I think the biggest loss for the market is that The Kernel Brewery moved to a set of arches a few blocks away. Quite a number of Maltby Street tenants followed them. 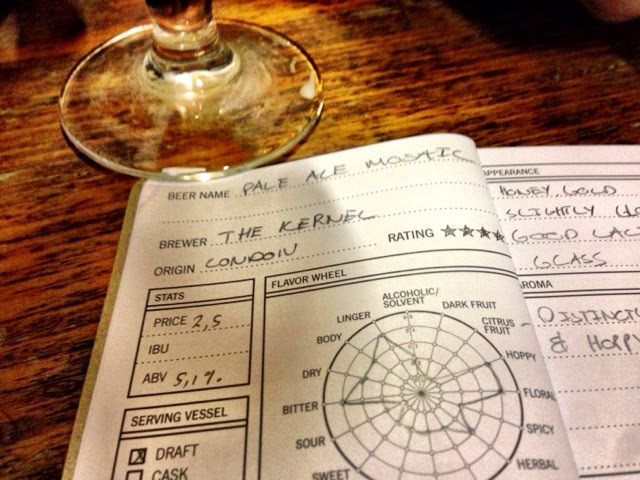 The Kernel Brewery is by far my favourite brewery in London... and one of my favourites in the world. The brewery is very community focussed. Market days on Saturdays are pretty special. From early mornings people shuffle through the brewery & makeshift tap room to stock up on small batch beers for the weekend & week ahead or simply to stop for a pint or two while eating something bought from the charcuterie or bakery next door. After a few tasters we hit the road to find Partizan Brewing. The search took longer than expected. We got a bit lost in South Bermondsey and must have walked past the nondescript rail arch housing the brewery a couple of times. 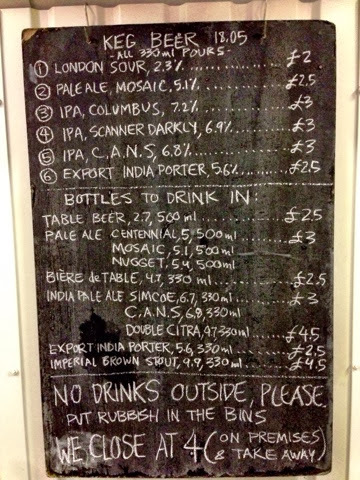 Partizan is one of the newer breweries in London. They took over the old Kernel brewing system and are cranking out very good beers. 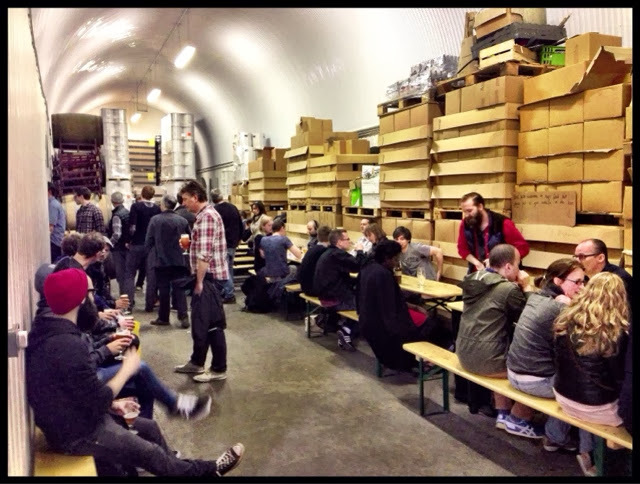 Unfortunately there were not many people at Partizan and no vibe to mention, so we tasted a few beers and headed back to The Kernel.